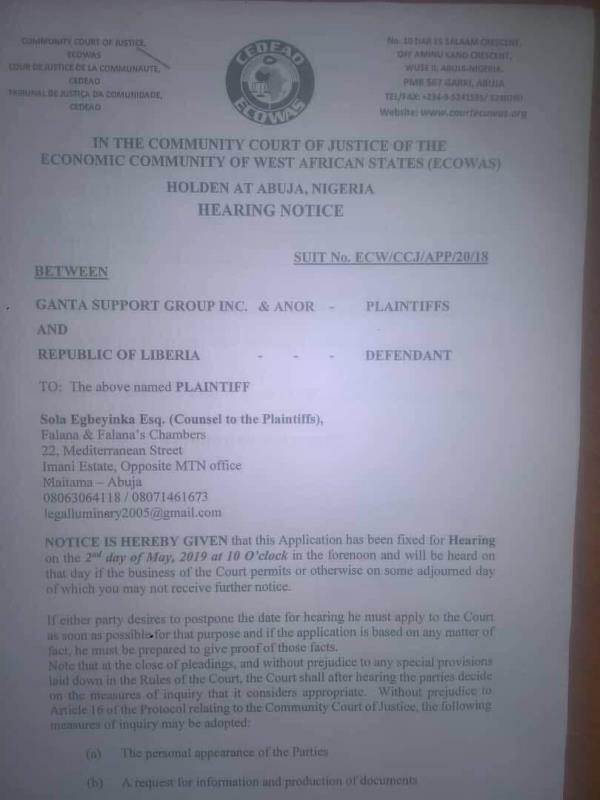 Monrovia – On May 2 this year, the Community Court of Justice of the Economic Community of West African States, ECOWAS, is expected to begin hearing the land dispute case between the government of Liberia and the members of the Mandingo tribe of Ganta, Nimba County. The suit emanates from a long-standing land dispute, which was offset by the “illegal occupation” of real properties of residents of Ganta, who are mainly the members of the Mandingo tribe, who fled the country during the war. Many of them claimed when they returned their properties were illegally occupied by others. According to the suit, “The Mandingo people have been the owners of the properties in Ganta, Nimba County, Liberia from time immemorial.” It also claimed that “All of the lands in question were developed land that had our homes, business houses, farms, and plantations. Also, there was no court case/s anywhere claiming these Centuries-old owned properties of Mande’Nkoh people”. In 2006, former President Ellen Johnson Sirleaf set up an ad-hoc committee headed by former Internal Affairs Minister, Ambulai B. Johnson, to resolve the Nimba land disputes that many fear had the potential of plunging Liberia into crisis. Another commission was constituted comprising only Nimbaians and presided over by Mr. Musa Hassan Billity. The two commissions established that to achieve peace and foster reconciliation, and there arise the need to compensate all the squatters to enable them to vacate the properties. “With particular reference to Ganta and its environs, two hundred and fifty (250) cases out of the two hundred and eight (280) land dispute cases were resolved and the illegal occupants were fully compensated by the Government of Liberia,” reads the suit. The Mandingos, who are under the banner the “Ganta Support group” say since the payments were done, the ‘illegal squatters’ are yet to turn over the properties. The suit further alleged that over 75 heads of families of the Mandingo citizens of Ganta and its environs were brutally beaten, tortured and jailed in 2016 by state security during a peaceful rally in demand of their ancestral land. According to the aggrieved party, the government of Liberia allocated the unoccupied portion of the embattled land to former and current government officials, including current City Mayor of Ganta Amos Suah. To this end, the Mandingos in Ganta claimed their rights as enstrained in the Article 5 and 11 of the Constitution have been abused and denied in all courts in Nimba County. “Therefore, we see the need to go to the regional court/ECOWAS to seek for protection, dignity, civil liberty, right to property, right to life. 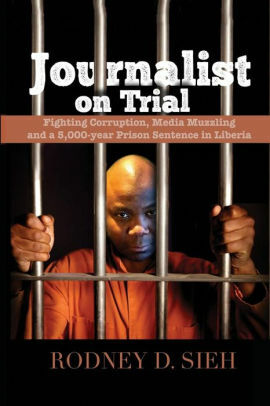 That is why we sued the Government of Liberia to be compared to restore our constitutional rights,” they said. The Chief Justice and retired Judge Emery Paye are close associates and are directly benefiting from the disputed land, they claimed. “They own land directly or indirectly in nearly all of the land conflict areas in Ganta; therefore, they both have lost the elements of impartiality and neutrality required for dispensing justice. Serious tension nearly ensued in Ganta after the memebrs of the Mandingo tribe resisted a court’s eviction order. They claimed the portion of the land in question was undecided before the Supreme Court of Liberia. Following the incident, the Mandingoes hailing from Ganta Nimba County issued a statement, calling on the Justice in Chambers of the Supreme Court to forward their case currently before him to the full bench for adjudication. “We believed that the recent eviction ordered by Judge Roland F Dahn, as an Assigned Circuit Judge of the 8th Judicial Circuit Court for Nimba County in the case was a calculated plan to take our properties while the matter is before the Supreme Court,” the group alleged. They then urged the government and international organizations to join them by calling on the Justice in Chambers “to do the right thing by upholding the rule of law and prevent this sensitive land case from being chaotic before our eyes”.